James Bridie was a familiar name as a playwright and screenwriter during the first half of the 20th century -- but he also managed to enjoy a third career, as a medical doctor. Born Osborne Henry Mavor in Glasgow, Scotland, in 1888, his first career choice was as a doctor, and he studied medicine at the University of Glasgow. During the First World War, he saw service as a military doctor in France and Mesopotamia. 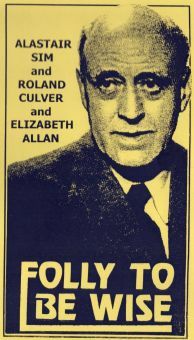 Following the end of hostilities, he found success as a playwright in London, and intended to give up the practice of medicine at the end of the 1930s, in order to devote himself to a full-time writing career. In 1937, he entered the orbit of Alexander Korda's London Films, adapting Bruno Frank's play for the movie Storm in a Teacup. The following year, he wrote a series of screenplays for the fledgling BBC television service, and was also among the very first authors to be given a chance to write the screenplay for Korda's production of The Thief of Bagdad. Virtually nothing from his treatment, dating from late 1938, survived in subsequent versions of the screenplay, apart from the notion of having two young heroes in the story. With the outbreak of the Second World War, Bridie returned to the practice of medicine and went back into uniform for the duration. 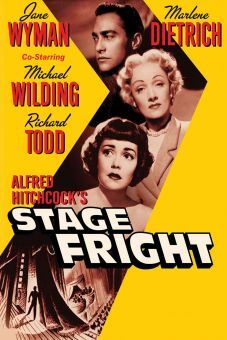 After the war, he became closely associated with Alfred Hitchcock -- Bridie made an uncredited contribution to The Paradine Case (1947), the last movie that Hitchcock directed under his contract with producer David O. Selznick, assisting Alma Reville in adapting Robert Hichens' novel. 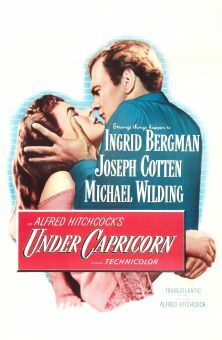 Bridie was one of the writers (along with Hume Cronyn) responsible for the screenplay for Hitchcock's Under Capricorn (1949), and he also wrote additional dialogue for the screenplay of Hitchcock's Stage Fright (1950). Bridie passed away early in 1951, the same year that his play A Sleeping Clergyman was adapted into the movie Flesh and Blood (1951), by Anthony Kimmins with Richard Todd, and Glynis Johns. Since Bridie's death, his plays The Anatomist, The Odd Legend of Schultz (as There Was a Crooked Man), and Daphne Laureola have been brought to the screen.